This elegant ribbon is supplied in a 2.5 metre roll so you can cut to size as necessary. 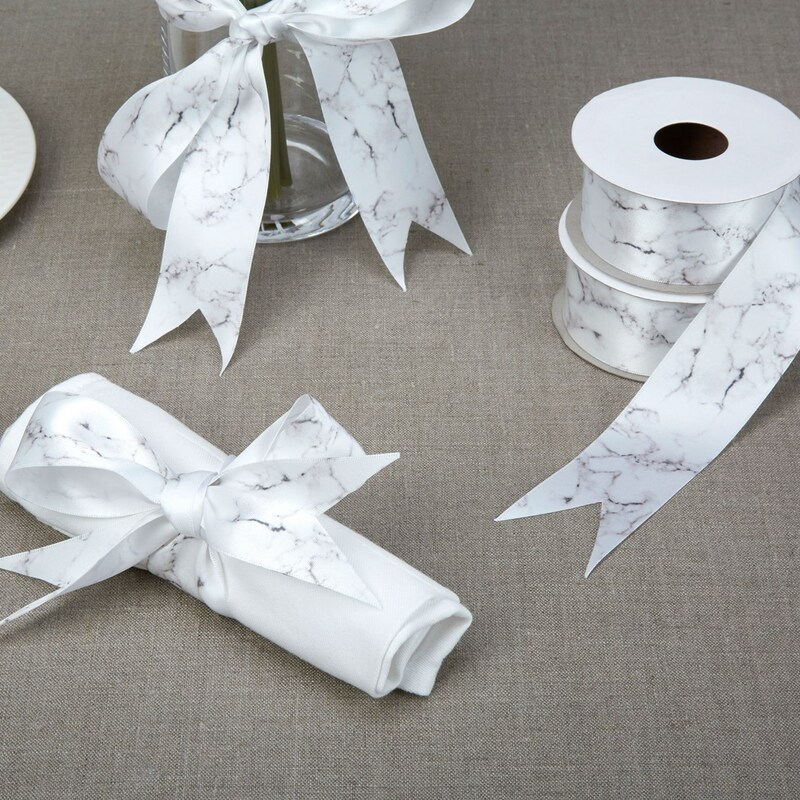 Used to dress your cake, hang signs, tie napkins or attach to chairs, the ribbon is made from high quality materials and features a fashionable marble effect design. With a simple colour palette of white and grey the ribbon can be used alone or mixed in with other pieces in the Scripted Marble collection. Ribbon measures 38mm x 2.5m roll.